The Convair B-58 Hustler was the first operational supersonic jet bomber capable of Mach 2 flight. 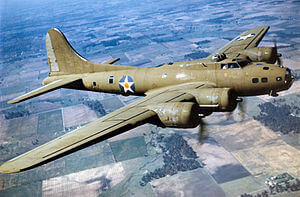 The aircraft was developed for the USAF service in the Strategic Air Command during 1960’s. 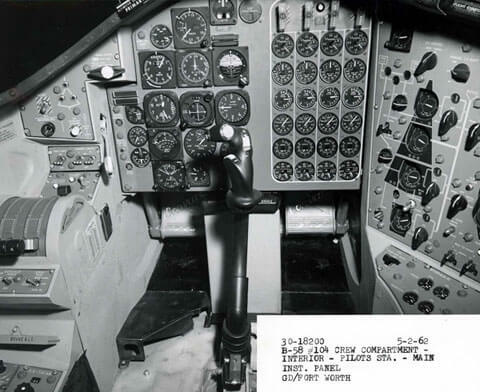 First flown in 1956 it used a delta wing, which was also used by Convair fighters such as the F-102 , with four J79 engines in pods under the wing. 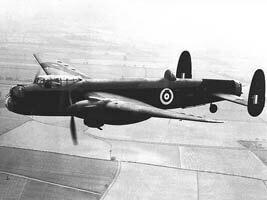 It carried its nuclear weapon plus fuel in a large external pod rather than in an internal bomb bay. Replacing the Boeing B-47 medium bomber, it was originally intended to fly at high altitudes and supersonic speeds to avoid enemy fighters. 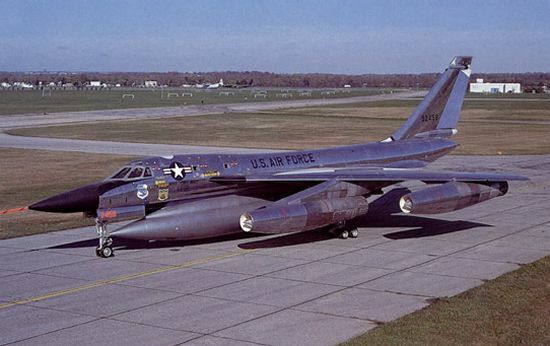 The B-58 was notorious for it’s sonic boom, which was often heard by the public as it passed overhead in supersonic flight. The introduction of highly accurate Soviet surface-to-air missiles forced the B-58 into a low-level penetration role that severely limited its range and strategic value, especially as it was never employed to deliver conventional bombs. 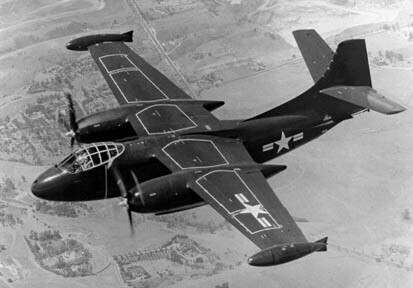 This resulted in only a brief operational career between 1960 and 1969, when the B-58 was succeeded by the smaller, swing-wing FB-111 . This title contains the USAF flight manuals for the fabulous Mach 2 General Dynamics Convair B-58 Hustler. The files have been scanned from the original flight manuals and include any colour pages. USAF Flight Manual T.O. 1B-58A-1 dated 28-3-69, with approx 426 pages. 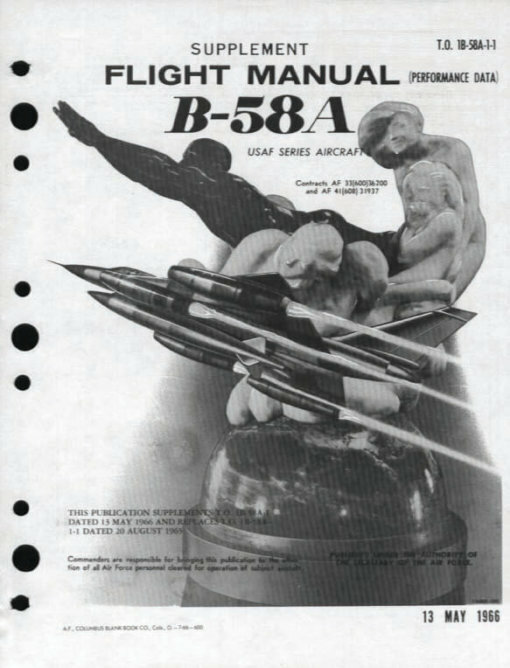 USAF B-58A Flight Manual Supplement containing Peformance Data, T.O. 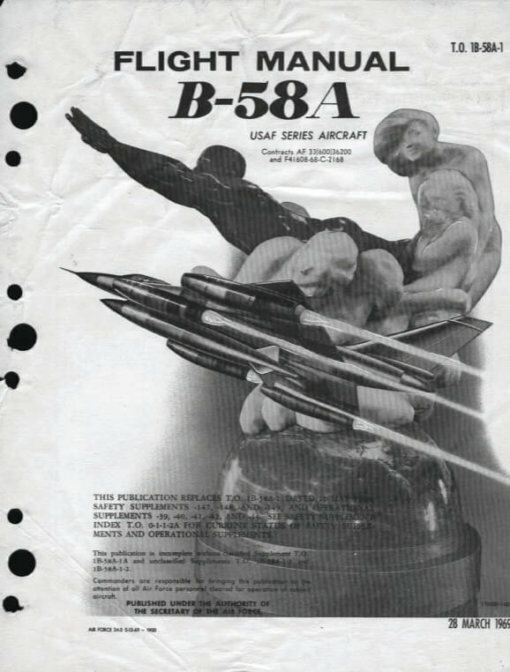 B-58(A)-1-1 dated 13-5-66, with approx 410 pages. 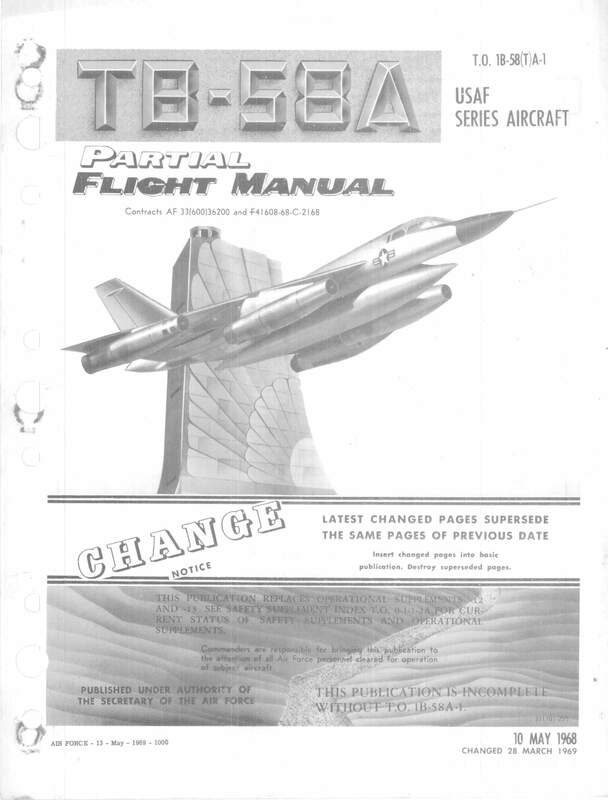 USAF Partial Flight Manual T.O. 1B-58(T)A-1, dated 10-5-68 revised to 28-3-69, with approx 170 pages. This partial flight manual covers the differences between the TB-58 and the B-58.